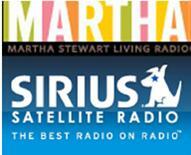 Connie De Groot on Martha Stewart “Living” radio show. Connie was a guest on the “Living” show to speak about Selling this summner and how to give your home the advantage. Some of the things discussed have been mentioned before but the reasoning as to why it works were perhaps better explained.